The Anti-Defamation League will honor Cirque du Soleil and company founder and CEO Guy Laliberté during its 2010 American Heritage Dinner at 6 p.m. Thursday, Oct. 28, at the Aria Resort and Casino – located at 3730 Las Vegas Blvd. South inside City Center. Tickets for the gala are $300 per person or $2,500 for a table of 10. The Anti-Defamation League chose Cirque du Soleil based on the power of the company’s community involvement. With seven shows and more than a decade of Las Vegas residency under its belt, Cirque du Soleil has consistently worked with the Clark County School District and artistic organizations such as the Nevada Ballet Theatre to bring the vibrancy of Cirque du Soleil to virtually every corner of the Las Vegas Valley. The company’s general community involvement, in all the cities where it produces shows, has been priceless to many organizations worldwide. Highlights from the company’s 2009 Citizenship Review, a company-wide review letting employees and the public know where Cirque du Soleil has contributed to its communities annually, featured everything from new productions to environmental and community projects. The team from “Zaia” in Macao held a benefit performance for the Pak Tin Theatre for disabled children in Hong Kong. The proceeds purchased a mini-van able to transport wheelchair-bound students. In Las Vegas, members of the human resources department counseled homeless teenagers on job-seeking skills, while carpenters from “O” built and installed bookshelves at a home for Boys Hope Girls Hope of Nevada, which helps children-in-need with shelter, positive role models and access to quality education. Cirque du Soleil also looked internally when thinking globally by altering the way they do business in order to create a smaller carbon footprint. An analysis of the life cycles of handbags and metal objects led to a calculator tool for buyers on the merchandising team to use. On the North American tours, less bottled water was used, while at home in Las Vegas, transportation to home, school and the theater was consolidated for the school-age cast of “The Beatles’ Love” and 150 employees in the technical, artistic and administration offices at “Mystère” vowed to go paperless in 2010. 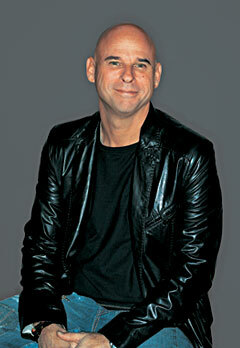 Laliberté founded Cirque du Soleil in 1984 by recognizing and cultivating the talents of 20 Quebec street performers. His vision brought cultures and acrobatic disciplines together under one roof, revolutionizing the big top, and setting new standards for the circus and theater worlds. In 25 years, Cirque du Soleil has become an international organization for the environment it creates inside the venue as well as outside in communities worldwide. Since its founding, Cirque du Soleil has thrilled more than 100 million spectators in close to 300 cities on five continents. In Las Vegas, Cirque du Soleil’s partnership with MGM Resorts International has created and presented more than a decade of unique and innovative productions such as “Viva ELVIS” at ARIA Resort and Casino; “Mystère” at Treasure Island; “O” at Bellagio; “Zumanity” at New York New York; “Ka” at MGM Grand; “The Beatles LOVE” at the Mirage and “CRISS ANGEL Believe” at Luxor. For more information, visit the Cirque du Soleil website at www.cirquedusoleil.com/lasvegas . The Anti-Defamation League’s American Heritage Dinner was established to recognize those who personify the noblest ideals and traditions of the Anti-Defamation League. Cirque du Soleil and Guy Laliberté are being honored for their humanitarian interests and their community and business activities, which bring together people of all races, religions and ethnic origins. The Anti-Defamation League is a not-for-profit organization founded in 1913. It is the world’s leading organization fighting hate, prejudice, and bigotry. The organization’s mission is to protect human rights, be a voice for immigration and to teach the youth through its No Place for Hate and World of Difference programs support its belief that hatred and intolerance are learned and, with education, can be erased. To find out more about the Anti-Defamation League or the 2010 American Heritage Dinner, call 702-862-8600 or visit http://regions.adl.org/las-vegas/.